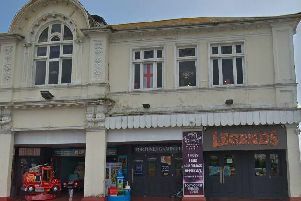 A 16-year-old girl was taken to hospital after falling from a second floor window in Bognor Regis last night, police have confirmed. The girl was taken to St Richard's Hospital in Chichester after falling from the window at an address in Hawthorn Road at 9.09pm last night (Wednesday 30). An air ambulance attended the scene and the girl was treated for injuries which were not considered life threatening. A spokesman for Sussex Police said: "At 9.09pm on Wednesday (30 January) police were called to a property in Hawthorn Road, Bognor Regis, where a 16-year-old girl had fallen from a second floor window. "The Kent, Surrey and Sussex air ambulance also attended. "The girl sustained injuries, not considered life-threatening, and she was taken to St Richard's Hospital, Chichester, for treatment."